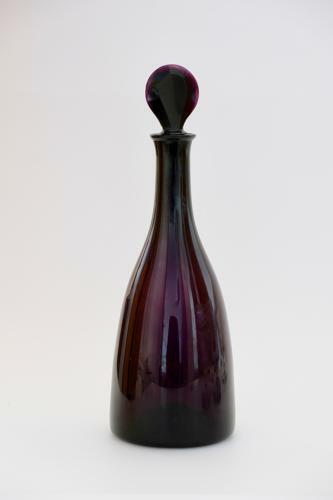 Amethyst taper decanter with lozenge stopper. English C1790. Condition: Very good with no chips, cracks or evidence of restoration. Please note this will not take a full 75cl bottle of wine.